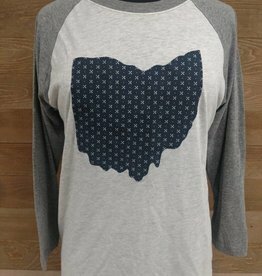 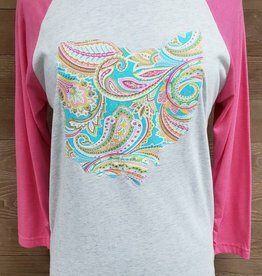 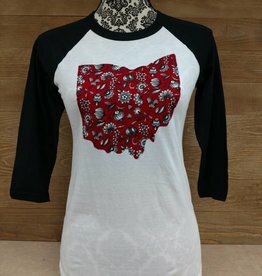 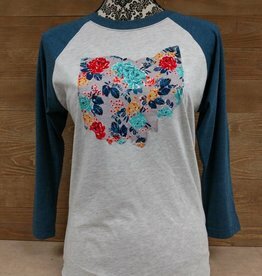 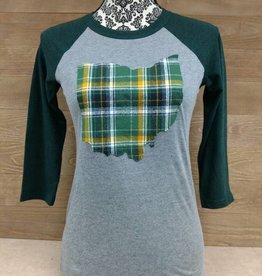 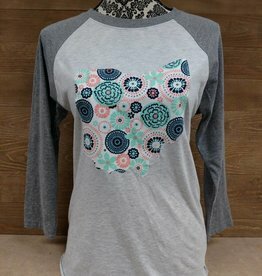 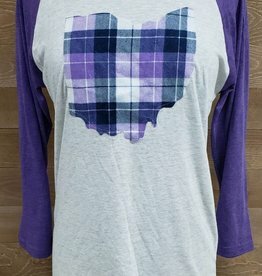 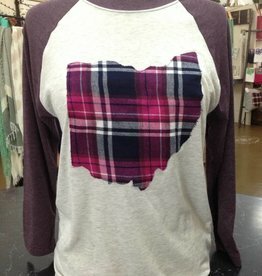 An Exclusive Simply Susan's Design Made Printed Right here In Tiffin Ohio. 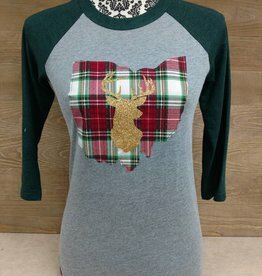 2017 Christmas Deer Baseball Tee was originally $40, remaining stock marked down to $20. 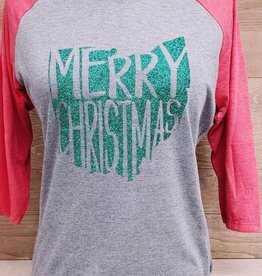 An Exclusive Simply Susan's Design Made Printed Right here In Tiffin Ohio. 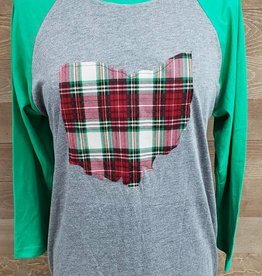 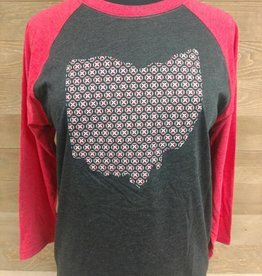 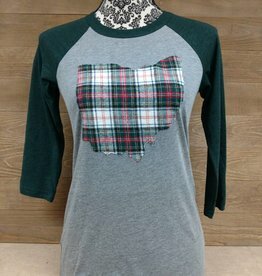 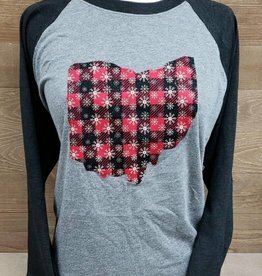 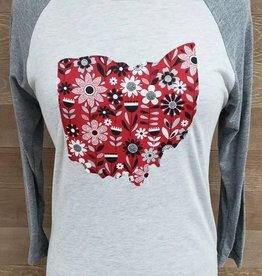 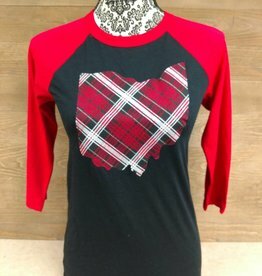 Red sleeves with charcoal grey body and red and grey plaid Ohio.